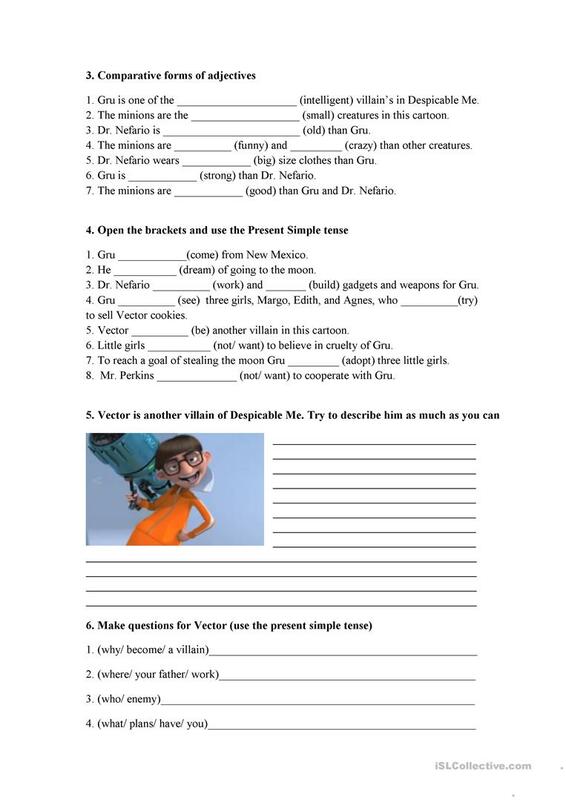 Activities are worked out based on the plot of cartoon Despicable Me. 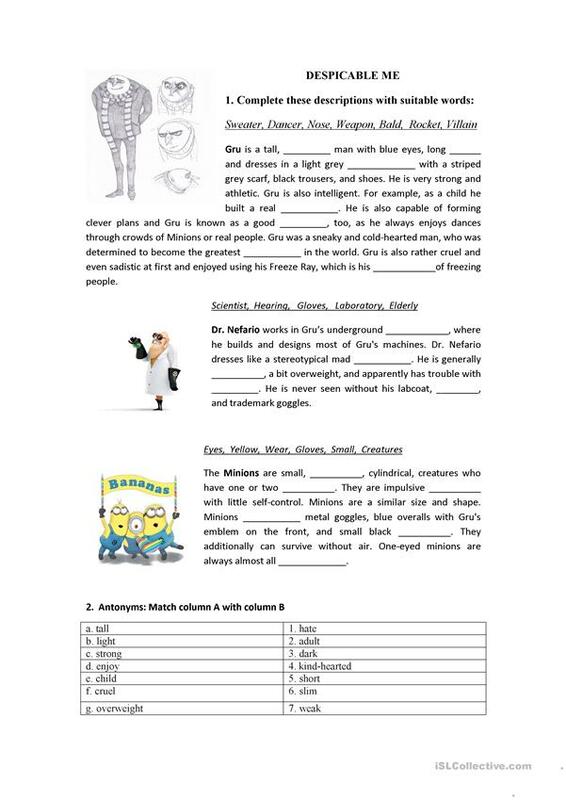 Activities are meant for revision of the present simple tense and comparative forms of adjectives. This downloadable printable is a great resource for elementary school students at Beginner (pre-A1) level. It is great for practising Adjectives and Present simple tense in English, and is useful for working on your groups' Reading and Writing skills.